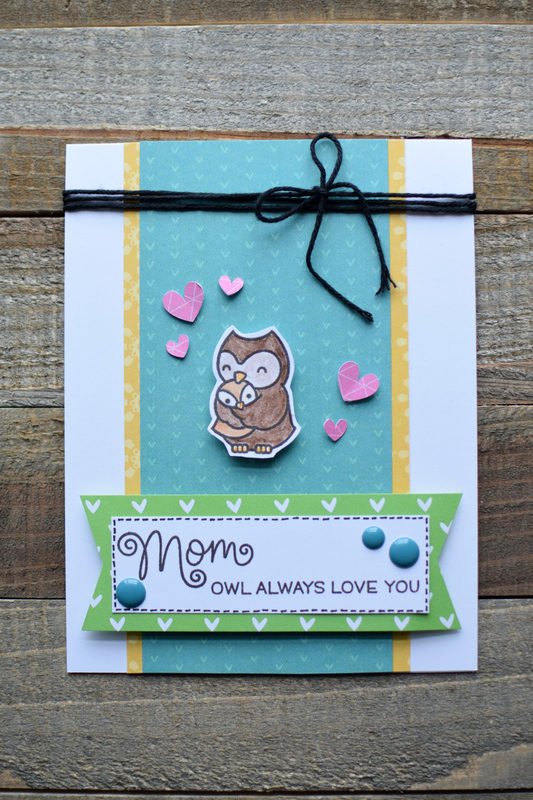 For an owl-loving mom, nothing is cuter than this owl-themed Mother’s Day card! I chose to go with bright colors for this card, with papers from Crate Paper’s “Cute Girl”, and other brightly colored paper scraps. And as I mentioned in the previous post, the stamped images are from “Mom + Me”. This entry was posted in Cards/Scrapbooking on May 4, 2017 by Megan.